Dive manufacturer Hollis has announced the Seeker reel for the UK and Ireland markets. 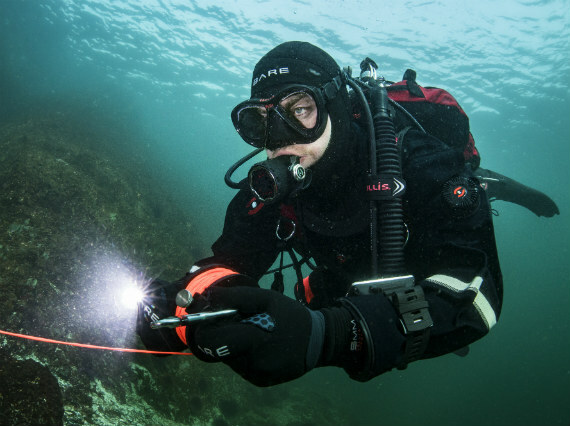 The Seeker is designed with technical applications in mind, particularly wreck and cave diving. That’s why there’s a choice of two line lengths, either 200ft (60 metres) or 400ft (a whopping 120 metres). 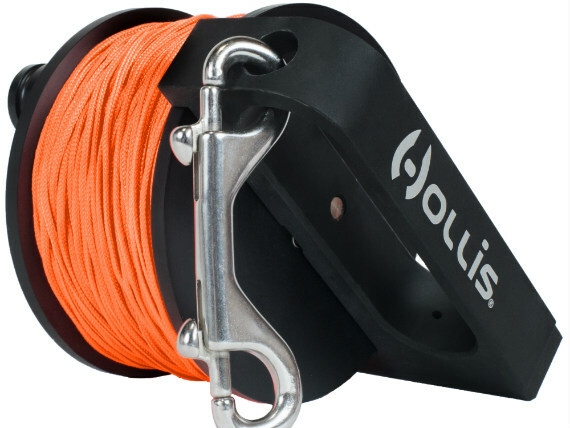 The spool is machined using high-tensile Delrin, which is a durable and tough polymer. The handle is made from lightweight aluminium. Like larger reels that are available, the Seeker has a simple ‘lock down’ screw to lock or release the spool. Hollis has come up with a left and right handle design for easy switching between hands. And it’s easy to handle while wearing thick gloves. The Seeker is now available at UK and Ireland dealers, priced RRP £114.95 for the 200ft version, or RRP £129.95 for 400ft.